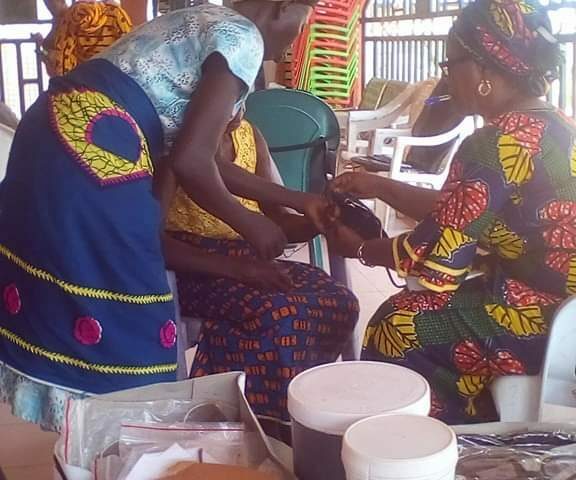 The people of Gbanraun communities and it’s environs in Southern Ijaw Local Government Area of Bayelsa State, have lauded the gesture of Elohim Ministries International Incorporated, USA, and the Ekuogbe Akpodiete Foundation over the free medical treatment and award of scholarship to indigents of the communities. They disclosed that the coming of Elohim Ministries International, Inc, to the communities will be a lasting legacy that would be remembered for over time in history of Gbanraun kingdom in Bayelsa State. 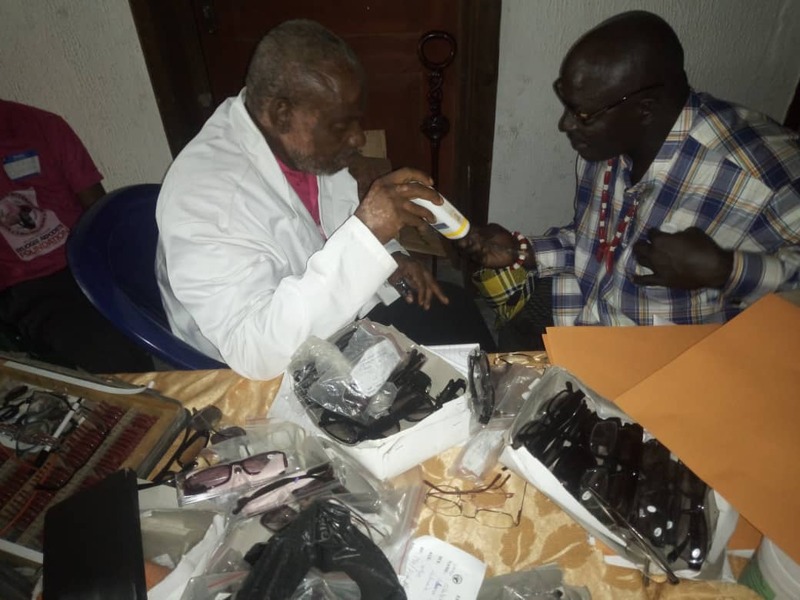 Elohim Ministries International,Inc, a nonprofit but charitable organization in collaboration with Ekuogbe Akpodiete Foundation believe in reaching out to the less privileged and help them out through free treatment and award of scholarship to students of higher institutions irrespective of language and cultural differences. President of Elohim Ministries International, Inc, Brenda Akpodiete in her statement held that the vision is to minister to the need of the economically disadvantaged in the community. “We provide job readiness and workforce development, universal life skills training, collect and donate food, clothing, household items and school supplies to local communities in Washington DC area, Nigeria and West Africa. “And in 2019, we identified with Gbanraun communities and environs in Southern Ijaw Local Government Area of Bayelsa State to also benefit from this good will donations”. She stated. At the three day free medical treatment in the community, residents express of joy and love that has been extended to them. Some of the women who were treated Mrs. Godbless Eyabara and Mrs. Yoroware Kolowei held that Gbaraun has 18 communities and no foundation nor ministries have identified with them as a people, this is the first in the history of our people”. 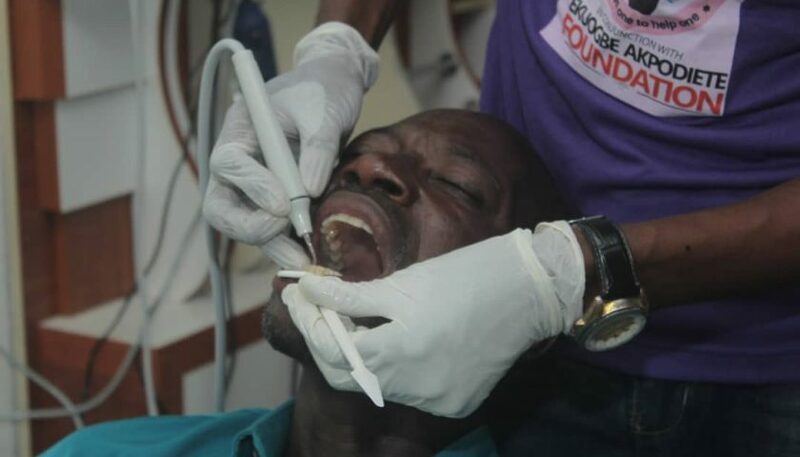 According to Kolowei, “I have been battling with arthritis for some time now and I was unable to treat it because funds and there is no hospital or health center here. “But with the coming of Elohim Ministries International, Inc, I have been treated and with the drugs I was given, I am very sure it will greatly subside. Also, Mrs Agbiri George on her part lauded Elohim Ministries International, Inc, that came all the way from USA to identify with us. This is first in the history of this community and we are happy for this breakthrough. “Our people are coming from far away from Yenegoa to see for themselves what is happening and they are grateful to God and Elohim Ministries International, Inc.” She said. Doctors who spoke to our correspondent expressed happiness for the large turnout, saying; “We never expected the people to come out in their numbers but we were surprised they did.